IPC decided to exclude Russian Paralympians from international qualifiers. Photo: Oleg Ponomaryov at the Sochi 2014 Winter Paralympics. The International Paralympic Committee (IPC) has banned Russian athletes from qualification rounds for the XII Paralympic Winter Games in Pyeongchang, South Korea. Still, Russian and international officials say there's a chance they can participate in the competition, but it's looking unlikely. In summer 2016 after the publication of the McLaren report on doping in Russian sport, the International Paralympic Committee (IPC) adopted the hardest possible line against Russia. Unlike the International Olympic Committee (IOC), which banned from the Rio Games only athletes with previous involvement in doping scandals, the IPC excluded the entire Russian team from the Paralympic Games. This situation could be repeated given that on Jan. 29 the IPC decided to exclude Russian Paralympians from international qualifiers, thus putting in jeopardy their participation in the 2018 Paralympic Winter Games in Pyeongchang. The IPC suspended the membership of the Russian Paralympic Committee (RPC) on Aug. 7, and this was the reason why all Russian athletes were excluded from the Rio Paralympic Games. The ban against the RPC remains in force to this day. On Nov. 21, the IPC informed the RPC of the criteria for readmission to the organization: full conformity with all requirements of the world anti-doping system; support for the work of international anti-doping organizations; and expulsion from the RPC of anyone found using doping. The IPC also demanded that Russian state officials be excluded from RPC leadership. The RPC took issue with some of the criteria set by the IPC. A meeting of the two organizations was held in Bonn in mid-December to discuss the criteria. RPC President Vladimir Lukin said that on Jan. 11 his organization sent the IPC its own road map for settling all the issues. But the committees did not reach a mutual understanding, and the RPC's membership has not been restored. This is the reason for the IPC-imposed ban on Russian participation in qualification competitions. Soon after the announcement of the ban on Russian participation in the Paralympic qualifiers, the IPC explained its verdict by saying that the RPC was still failing to meet the necessary criteria for readmission. The IPC explained that it was "not closing the door" to Russia, and if the RPC continued to cooperate with the IOC then its membership could be reinstated before 2018 and Russia could then take part in the Pyeongchang Paralympic Games. According to an official RPC press release, there is still hope that Russian Paralympians will go to Pyeongchang. 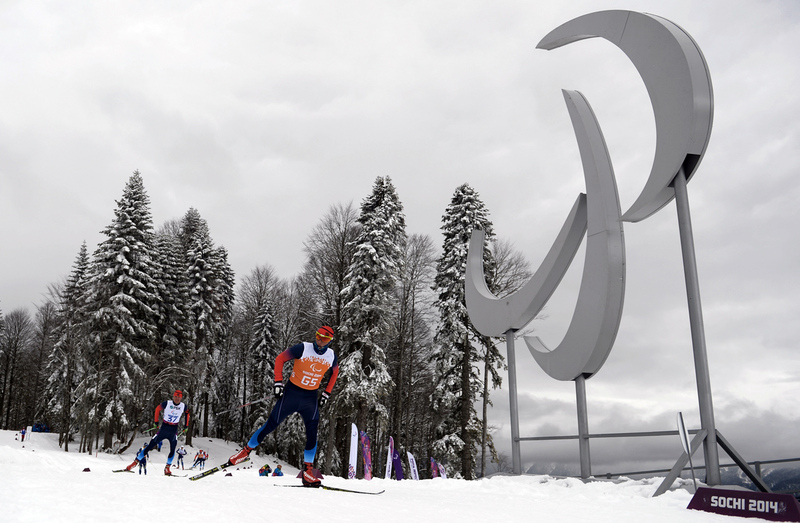 "The RPC will continue to train Russian disabled athletes for the Winter Paralympic Games," the committee said, as quoted by TASS. At the same time, Alexei Karpenko, a senior partner at the law firm Forward Legal and an expert in sports law, believes that unless a decision on admission to the qualifiers is adopted in the immediate future, the 2018 Paralympics are likely to take place without Russia. "I think that without Russian athletes competing in the qualifiers, their participation in the main events will be practically impossible," said Karpenko. "All one can do is to hold emergency talks with the IPC and persuade it to allow Russian athletes to participate in the qualifiers on condition that all the IPC requirements are fully met." Commenting on the IPC verdict to R-Sport news agency, Vladimir Lukin criticized the decision. "All athletes, guilty or not, are still barred from competitions, and we still haven't been told the names of the guilty," Lukin said. In addition, there has been no response from the IPC to Russia's own proposals set out in its "road map". Karpenko said that the IPC is deliberately conducting a tougher policy towards Russia than the IOC, "and this is despite the fact that the number of Russian Olympians caught using doping is many times higher than the number of Paralympians caught." He added that "hostile personal relations" between the IPC management and Russian organizations is a major factor at work here.